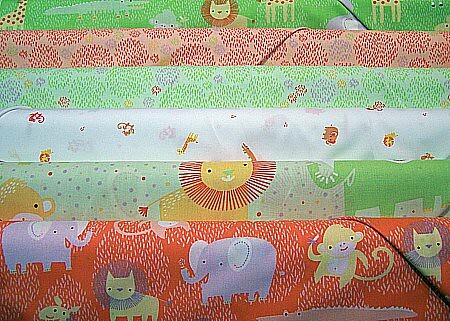 For the little ones in your life, check out these new organic prints from Clothworks. Good for your family AND good for your wallet, the organic market continues to provide options that will not break your budget. Such a sweet menagerie of animals! New from Anthology (which is quickly become one of my new favorite manufacturers), this week brings us charming home and nature prints. 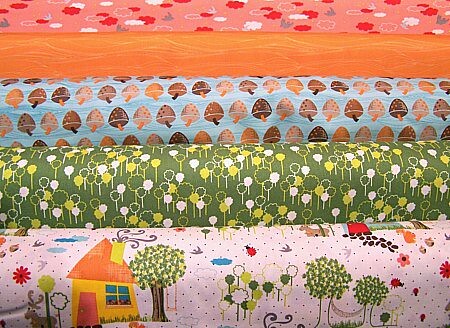 Whimsical and lovely, these can used for any number of sewing projects. I'm thinking pajamas or other handmade gifts for the holidays. Looking for a quick no-sew gift? 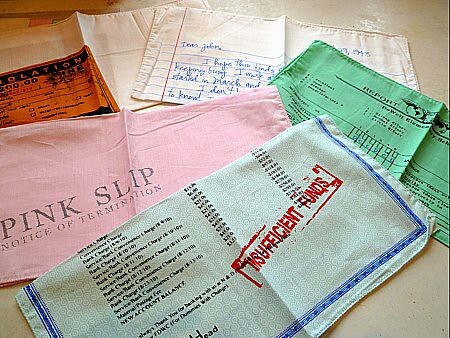 We've got hilarious hankie sets featuring slips from all of our best moments--bad report cards, break up letters, pink slips, traffic violation tickets, and bank overdraft notifications. Tis the season for runny noses!